It doesn’t happen very often, but I have a DIY project that even the laziest of the lazy (i.e. moi) can do. I had a bouquet of roses from my birthday that was ready to bite the dust, so I did a little “pinvestigating” and found a way to make my own rose toner. 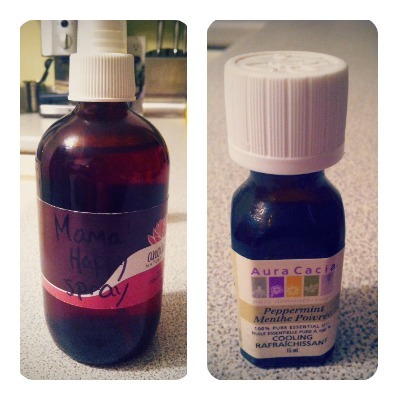 I decided to add some peppermint oil to it and voila, peppermint-rose toner. 1. 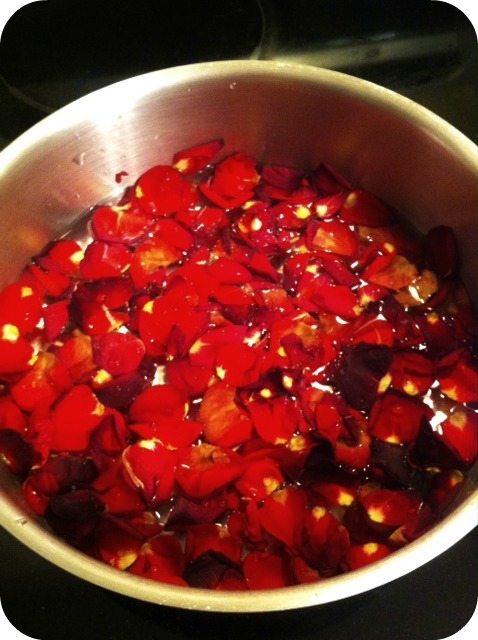 Take fresh petals from roses and place in a saucepan. Cover with water and heat until the water turns color, roughly three minutes. 3. Spray on face as needed. I, for one use it as a substitute for a glass of wine when it is way to early to proclaim it as five o’clock somewhere in the world.